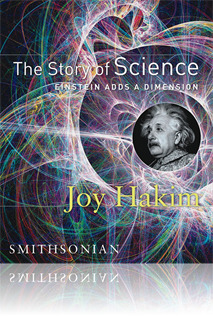 For more information on this Story of Science volume, please visit the author’s website. This book can be read cover to cover for background information on physics. It could also be used as a reference book for research on separate topics. I especially liked the way Hakim linked figures through the use of timelines and stories. It made the very difficult topics easier to read and very interesting.